For me to enjoy having a salad (and especially a vegetarian salad!) as a main meal, it needs to be seriously delicious. This salad was exactly that. 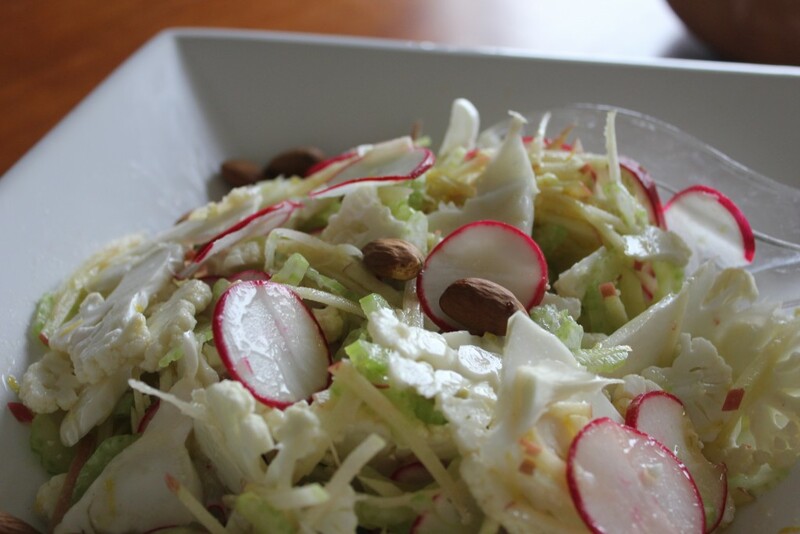 A Mandoline slicer will be your friend so this salad a cinch to make. We demolished it in no time, so is definitely good as a meal on its own or you could serve it as a side dish if you wish. I think it would be lovely packed for a picnic to enjoy the gentle winter sun, the salad can soften in the dressing for a while no trouble! Shake ingredients together in a small jar. Taste and adjust the dressing until you have the right balance, adding a bit of salt too.